I’ve always found interesting the way minds of children work and how they should take advantage of their wide imagination. 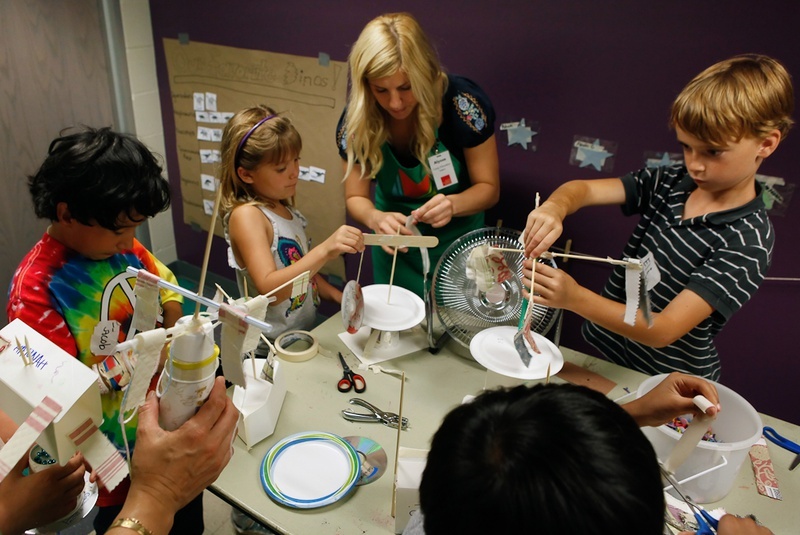 When children work together and collaborate their ideas, thoughts are brought to action. Especially children should be encouraged by their educators to create stuff with their own hands so they can invent things of their own liking. Making something is a way to express yourself and remain engaged in the act of creating. I believe that making and learning go hand in hand because making things from scratch is crafty and requires critical thinking skills. My name is Stephanie Azcona and I’m a student at York College majoring in English/Childhood Education. This is why I’m mainly referring to children. I truly enjoy working with children and studying about the many ways to teach them effectively. As a future teacher, I would definitely incorporate the ideals of making into my classroom. This also requires motivation and there are many ways to push students to complete their creation. It is important for the creative mind of children to be explored on their own. Putting your imagination to work and actually bringing your visions to life. Maker culture can be fused with education because craftsmanship is a method of learning and expressing ones imagination. That is why it is essential for children to be encouraged to be craft savvy, since it’s an awesome skill to acquire and explore. I particularly chose to read this article because I agree with its title, Craftsmanship is Dead. Long Live Maker Culture.